The RM Auctions John Staluppi ‘Cars of Dreams’ Museum sale will be held December 1st, 2012 in North Palm Beach, Florida. 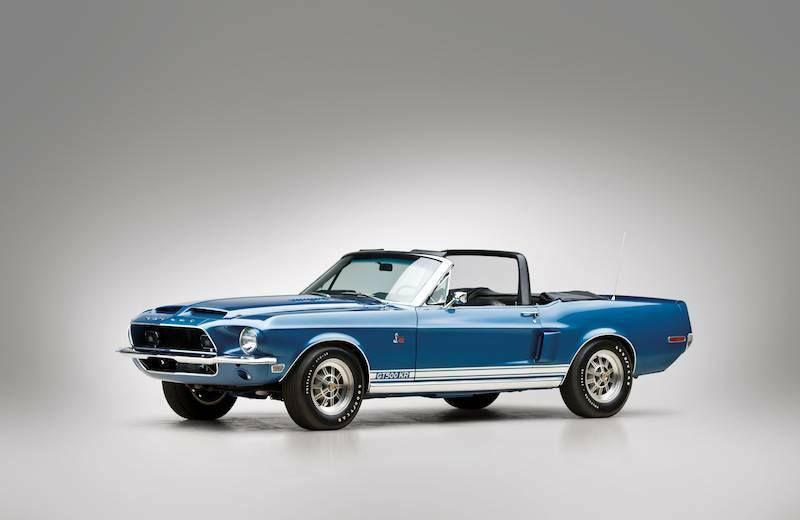 The single-day, single-vendor auction will see nearly 120 motor cars cross the auction block without reserve. 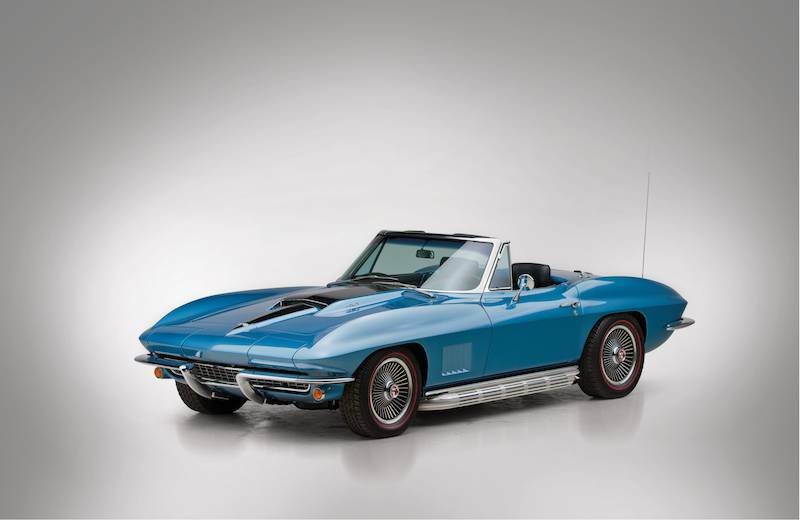 The result of a decade of dedicated collecting by enthusiast, John Staluppi, the automobiles comprising the ‘Cars of Dreams’ Museum are the vehicles of Mr. Staluppi’s youth, with a strong emphasis on American convertibles from the ’50s and ’60s. “From a vast selection of American automotive marques including Ford, Cadillac, Buick, Oldsmobile, Pontiac, and Desoto to name just a few, to the town square design that includes a carousel and numerous store facades, the attention to detail that has been applied to the John Staluppi Collection is outstanding,” says Donnie Gould, RM Auctions. “The cars have been superbly restored, regularly exercised, and extremely well maintained by a professional staff, and the memorabilia is such that the museum is like a time capsule of Americana. The sale is generating strong early interest from the collector community, and with all lots offered ‘without reserve’, promises a range of exciting ownership opportunities just in time for the holidays,” adds Gould. Leading the roster of automobiles on offer is a complete series of Chrysler letter cars, ranging from a 1955 Chrysler C-300 Hardtop Coupe, the first production car to offer 300 horsepower right off the showroom floor (estimate: $75,000 – $100,000), to a 1962 Chrysler 300H Convertible, believed to be one of only 44 known survivors (estimate: $60,000 – $80,000). 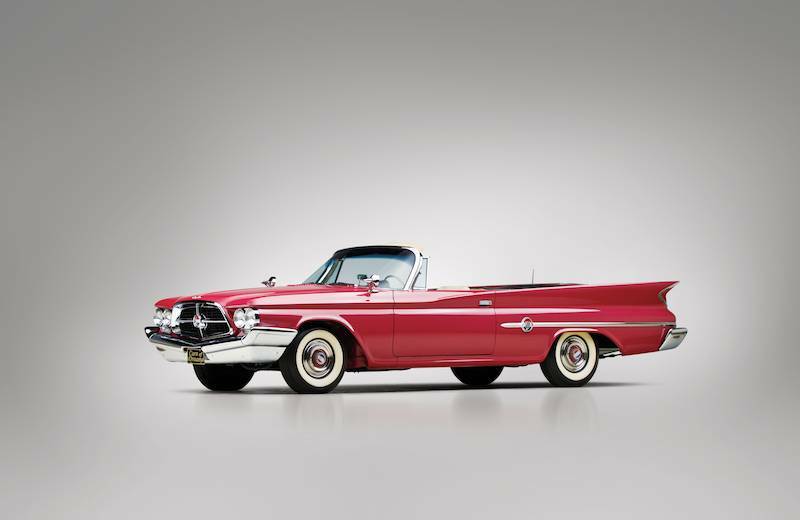 Headlining the group is a restored 1960 Chrysler 300F Convertible, one of only 82 believed to exist and ranked the most expensive letter car of its time, listed new at $5,411. Finished in Terra Cotta, the 300F has four leather-covered, contoured bucket seats with front chairs that swivel for easy access (estimate: $175,000 – $225,000). Also of note is a restored 1958 Chrysler 300D Convertible, one of just 55 known to exist (estimate: $175,000 – $200,000), and a restored example of the 1957 Chrysler 300C Convertible (estimate: $150,000 – $200,000). The automotive offering also includes some street and resto-rods led by a 1956 Chevrolet Two-Ten Custom Two-Door Sedan powered by a Toyota TRD NASCAR engine (estimate: $100,000 – $125,000). Other offerings include a 1958 Chevrolet Bel Air Impala Custom Hardtop Coupe built by Staluppi’s own workshops and equipped with a LS-9 supercharged V-8 (estimate: $100,000 – $150,000), and an 1969 Chevrolet Camaro Custom SS 572 Convertible (estimate: $100,000 – $125,000). •	1970 Chevrolet Chevelle SS454 Convertible in Tuxedo Black with white SS stripes (est. $90,000 – $120,000). 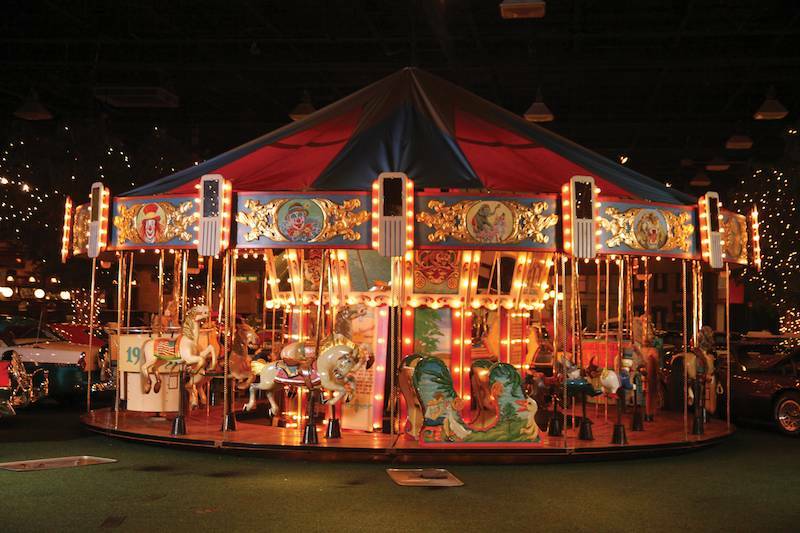 Beyond the automobiles and a small series of motorcycles also on offer, the Staluppi Collection sale also features more than 60 lots of memorabilia, ranging from the many life-like stores that line the museum display to a 1918 Herschell-Spillman 32’ Carousel. Typifying the golden age of carousels in America, the carousel features elaborate and whimsical animals, two abreast, with 14 sweeps and includes 16 large wooden Alan Herschell jumping horses and two carved chariots. All are brought together in harmony by the rounding boards painted in a circus theme with mirrors in alternate panels, and illuminated by roughly 550 lights. Prior to joining the respected Staluppi Collection, this piece was reportedly operated at the Big Top Market in Florida for 10 years (estimate: $250,000 – $500,000). Also set to sell to the highest bidder is a one-of-a-kind large-scale Lionel train layout combining numerous action displays, buildings, scenes, and individual dioramas depicting day-to-day movements. Measuring approximately 30 feet long by 15 feet wide and nine feet tall, the intricate display showcases attention to detail and represents more than 2,500 hours of labor by craftsmen and technicians. For those interested in model railroading, areas of detail include an engine roundhouse, dual layers of track and trains, animated street scenes, as well as a waterfall, mountain pass and trestle track (estimate: $60,000 – $80,000). Further highlights include a post-war c.1950 Arthur Bursens ‘Arburo’ Dance Organ, acquired from the Milhous Collection many years ago (estimate: $125,000 – $175,000); and a fully functioning, authentic Cretors Antique Popcorn Wagon ready for use and display (estimate: $20,000 – $30,000). The memorabilia offering is rounded out by an assortment of other collectibles and decorative pieces, including shop facades, street lights, artwork, and neon signs. For more information, visit rmauctions.com or call toll free 1 800 211 4371 (or +1 519 352 4575 outside North America). Yes, we should have full results in a few days.